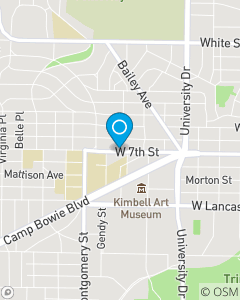 Between Montgomery St and University Dr off W 7th St. You'll find us next door to Papa Johns pizza. Sat, Sun & evenings by appt. We help people manage the risks of everyday life and plan for the future. Our office in located in Fort Worth directly off 7th St, and we use this to serve all of Texas with customers located in Fort Worth as well as Burleson, Crowley, Mansfield, Arlington, Alvarado, Keene, Itasca, Grandview, Godley, Rendon, Waxahachie, Everman and many others. In addition to Auto Insurance we also offer homeowners insurance, life insurance & health insurance.